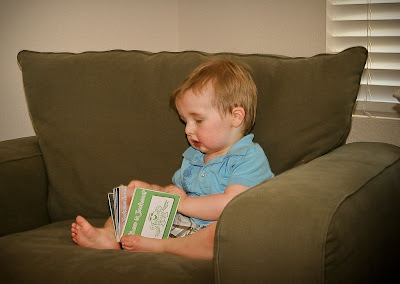 “J” is a fun little boy who really loves books and frogs so we tried to incorporate his love of froggies into his book. 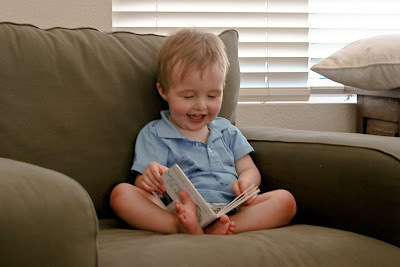 He really enjoys reading his book and so I wanted to share some photos of him reading his book. Our daughter and her Noni (grandma) have a very special and close relationship. Unfortunately they live 3,000 miles apart. This book was actually a present for Noni’s birthday, we actually did a scrapbook for Noni and Ainsleigh got a board book, below are some photos of Ainsleigh checking out the scrapbook. Swimming lessons were a big hit in our little baby play group and we wanted to make a book for our daughter and her little friends to remember it by but also to remember the fun song they got to swim to in the pool.